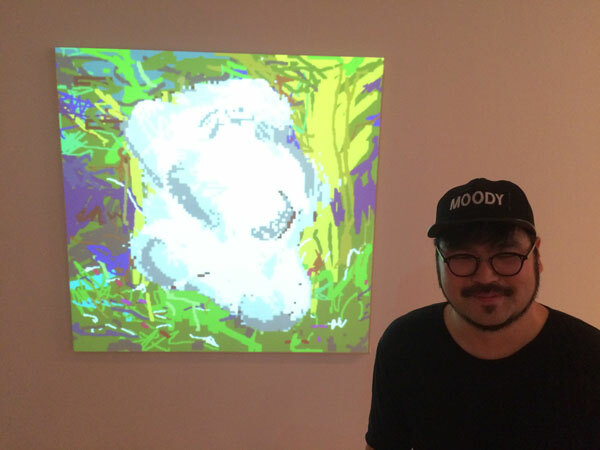 An installation shot of the "Forest Blob" animated GIF, shown with a projector, at the Honey Ramka opening last night. Heuitae Yoon, who randomly came to the opening wearing that hat, was photographed by the stunned gallery. The crowd schmoozing makes an appropriate soundtrack.